Say hello to your new favorite barbeque recipe. 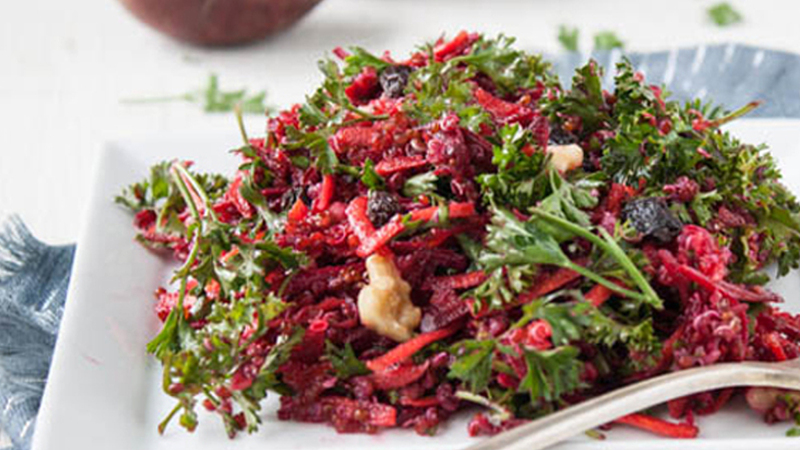 This light and refreshing salad looks and tastes just like summer! The protein in quinoa makes this salad a complete meal all by itself. Or, you can serve it as a side with some grilled protein. Recipe courtesy of Sherrie Castellano, Chef, and Founder of With Food + Love. Whisk all of the vinaigrette ingredients (extra virgin olive oil, fresh lemon juice, apple cider vinegar, sea salt, black pepper) together until they’re well combined. 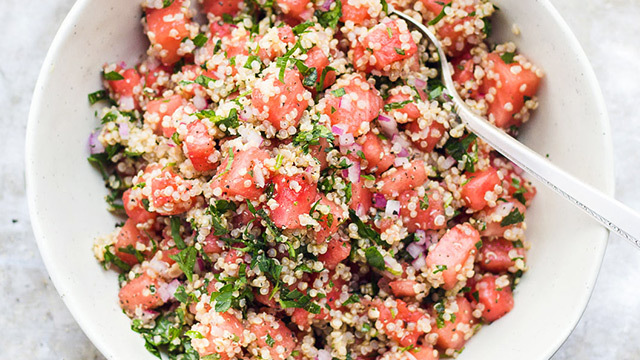 Combine the salad ingredients (quinoa, watermelon, parsley, mint, red onion) together in a bowl, then pour the vinaigrette over the salad. Super yummy! Crunchy and juicy, with a good amount of zip. A different take on watermelon. Yum! I tried it in front of a receptive audience just in case, but it was fantastic and I can’t wait to pass it on to others. Easy and delicious. Tastes like summer!